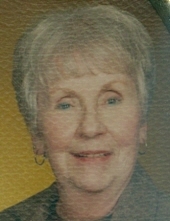 Doris Ann Keane, 86, of Syracuse, passed away Sunday, January 27, 2019 at Loretto. Born and raised in Gary, ID, she moved to Camillus in 1953. She graduated from Tolleston High School in 1950. A member of St. Michael's Lutheran Church, Doris helped in a variety of church groups. She loved to travel and was a member of the Irish American League. Doris was predeceased by her husband, Robert; and son, Scott Keane. Surviving are her daughters, Kathleen (John) Flanders of Camillus and Kristine (Karl) Ashley of Clay; brothers, Norman (Sue) Kendt of Louisville, KY and Donald Kendt of Valparaiso, IN; many grandchildren and great-grandchildren; and several nieces, nephews and cousins. Relatives and friends may call Saturday, February 2 from 10 to 11 a.m. at St. Michael's Lutheran Church. Services will follow at 11 a.m. at the church. Doris will be laid to rest in Greenlawn Cemetery, Warners. In lieu of flowers, contributions may be made to St. Michael's Lutheran Church, 5108 W. Genesee St., Camillus, NY 13031. To send flowers or a remembrance gift to the family of Doris Ann Keane, please visit our Tribute Store. "Email Address" would like to share the life celebration of Doris Ann Keane. Click on the "link" to go to share a favorite memory or leave a condolence message for the family.